Unlike many other Central American and Caribbean destinations, there is no shortage of options for places to go in Costa Rica! The excellent tourist infrastructure, varied climates and geography creates a wide variety of options to choose from. 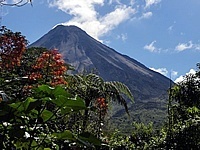 Top natural and adventure destinations include Arenal Volcano, Monteverde, Drake Bay, Tortuguero and Rincon de la Vieja. Popular beach areas include Manuel Antonio, Playa Samara, Tamarindo and Puerto Viejo. Take advantage of the diversity while on your trip by splitting up locations and you will go home satisfied. 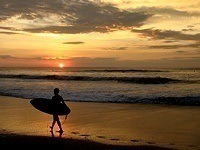 Click on the links to read more about the most popular destinations in Costa Rica. 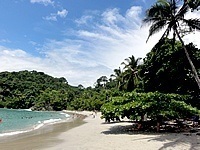 For good reason, Manuel Antonio is the most popular beach area and national park in Costa Rica. This area is incredibly beautiful with gorgeous beaches, jungle lined hillsides and an astounding amount of wildlife. With the combination of these factors, Manuel Antonio is considered to be a world class tropical beach destination. 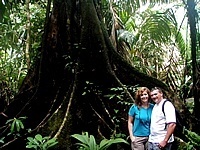 Click on the links to read more about Manuel Antonio. La Fortuna is the closest town to the magnificent Arenal Volcano and considered to be the Adventure Capital of Central America. The town is well known as a top tourist destination with hot springs resorts and loads of activities. The people are always warm and welcoming, eager to show off their beautiful piece of paradise. Click on the links to read more about La Fortuna. Monteverde is the most well-known cloud forest destination in the world. This area is a birdwatchers paradise as it is home to Resplendent Quetzals, Bellbirds and Emerald Toucanettes. Birdwatchers come from all over their world for a chance at spotting these beautiful and rare species. Monteverde is also home to the best canopy ziplines in the world, with some of the longest, highest and fastest courses. 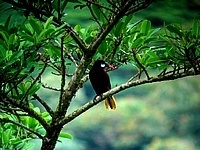 Click on the links to read more about Monteverde. Tamarindo is one of the most popular beach destinations in Costa Rica and for good reason. This fun filled beach town is home to several gorgeous beaches, loads of restaurants, shops and even some good night life. The beaches here are varied with some great beaches for swimming and boogie boarding, while others are perfect to learn how to surf or even for experienced surfers. Click on the links to read more about Tamarindo. Puerto Viejo has long been one of the best kept secrets, but the word is getting out quickly that this is one of the top destinations in Costa Rica. The area is home to magnificent palm studded beaches which are varied with surfing, swimming and snorkeling all nearby. The town itself offers a wide variety of restaurants, shops and night life. 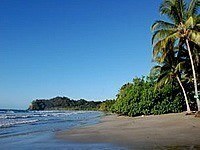 Click on the links to read more about Puerto Viejo. Similar to Puerto Viejo, Samara has long been one of the best kept secrets in Costa Rica. The town offers many restaurants and shops and is also home to a beautiful beach which is great for swimming, boogie boarding and learning to surf. 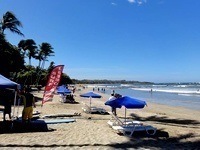 Playa Carrillo, which many consider to be the most beautiful beach on the Pacific side, is located just 5 minutes away. The proximity of these scenic beaches, availability of fun activities and location make Samara one of the top destinations in Costa Rica. Click on the links to read more about Samara. Tortuguero is one of the most popular eco-tourist destinations in Costa Rica. The town is located on a strip of land between the beach and lagoon and is only accessible by boat or plane. Visitors come to Tortuguero from all over the world to witness nesting turtles and the other amazing wildlife that inhabits the national park. Click on the links to read more about Tortuguero. 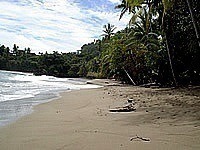 Drake Bay is one of the most remote destinations in Costa Rica. Similar to Tortuguero, it is only accessible year round by boat or plane. It is considered an outpost for accessing the wilds of Corcovado National Park and Cano Island. Visitors will be astounded by the natural beauty of the area with spectacular beaches and loads of wildlife. Click on the links to read more about Drake Bay. This area is quickly becoming one of the most popular destinations in Costa Rica. Visitors come for beautiful beaches which are ideal for surfing. The area is also well-known for its many yoga retreats. Click on the links to read more about Mal Pais and Santa Teresa.